There is something unique in every story. Even in mine. Eikö meistä jokainen haluaisi ansaita elantonsa sillä, mistä eniten nauttii? Niin minä ainakin uskon. Ja tiedän. Ja myös teen. Siksi jokainen tekstini syntyy yhtä palavalla intohimolla – ja työni laatu on sen mukaista. Matka tähän pisteeseen ei ollut helpoin tai lyhin. Mutta se on täynnä arvokkaita oppimiskokemuksia. Jos urani käänne- ja kohokohdat kiinnostavat, löydät ne hieman alempaa tältä samalta sivulta. Koska matkailu, luonto, retkeily ja ulkoilu – ja kaikki niihin liittyvä – ovat kirjoittamisen rinnalla lempipuuhiani koko maailmassa, ovat ne myös useimmiten tekstieni aiheina. Tekstintuotannon kameleonttina kuitenkin myönnän, että vaihtelu virkistää. Siksi ansioluettelostani löytyy muun muassa lehdistötiedotteita, B2B-markkinointia, henkilöhaastatteluja, kolumneja, haamukirjoittamista, SEO-sisältöjä sekä uutisjournalismia. Muutamia mainitakseni. Juttukeikat ovat vieneet minua yllättäviinkin paikkoihin. Syvälle luolan uumeniin. Kaapelilautailuradan testiajoon. Huojuvaan radiotorniin 150 metrin korkeuteen. Lasereiden täyttämään sotilasbunkkeriin. Yhteenkään haasteeseen en ole jättänyt tarttumatta. Kirjoitan paljon verkkoon. Ymmärrän ja taidan hakukoneoptimoinnin salat, ja yhdistelen SEO:n kultaisia sääntöjä sujuvasti tarinallisiin teksteihini, joita kirjoitan aina ihmiseltä ihmiselle. Lukijat ja yhteistyökumppanit puhuvat puolestani. Heidän kommenttejaan löydät tämän sivun alaosasta. Wouldn’t we all want to turn our greatest passions into a career? I believe so. And I know so. And that’s why I’m doing so. Because of this, I always devote all my enthusiasm to each writing task – and the quality of my work speaks for itself. The journey to this point wasn’t the easiest or shortest. But it’s been full of invaluable lessons. If you’re interested in the turning points and highlights of my career, you can find them at the bottom of this page. As travelling, nature and outdoor activities are – besides writing – my true passions, they’re often the topics of my articles. As a content creation chameleon, I admit diversity refreshes the mind. That’s why my resume also includes news journalism, profile feature articles, columns, press releases, B2B marketing, SEO copywriting and ghostwriting. The stories I’ve written have been taking me to unexpected places. Into the depth of caves. Test-driving a wake park. Standing on a swaying radio mast in 150 metres above sea-level. Hiding in laser-filled military bunkers on an island in the Bothnian Sea. There has been no challenge I wouldn’t have tackled. Almost all stories today end up online, one way or another. I respect the rules and understand the importance of SEO, but you should know that I always write all my stories from human to human, with the reader in mind. Let the readers and clients speak for me. You can find their testimonials below my career timeline at the bottom of this page. Curious for more? Don’t hesitate to contact me! Etsitkö kokenutta toimittajaa Satakunnasta tai Varsinais-Suomesta? Tilaa minut juttukeikalle – olen paikallistoimittajasi kahden maakunnan rajalla, joka liikkuu kyllä kauemmaskin. Näppäimistöstäni syntyvät ihmiskeskeiset ja hakukoneoptimoidut tekstisisällöt verkkoon, markkinointimateriaaleihin, tiedotteisiin ja muihin julkaisuihin suomeksi ja englanniksi. Kaipaatko tekstillesi oikolukijaa ja kieliopin tarkastajaa? Huolellisuus ja tarkkasilmäisyys ovat parhaimpia ominaisuuksiani, jatkuva kielivirheisiin takertuminen joskus jopa paheeni. After graduating high school, earning a degree in tourism and nutrition and several years of waitressing, I started studying marketing. I got the first taste of living abroad by doing my internship in Spain. During and after my studies, I worked in several administrative roles for international companies on the OL3 construction site. It helped me realise I was born to do something much more creative. In 2011 I followed my dreams and spent one year as a self-employed administrator in the Málaga area. This is when I started my first blog (that doesn't exist anymore). In 2012 I was hired as a journalist, moved back to Finland for it but ended up working for local TV doing sales, generating story ideas, writing scripts and a doing a bit of acting, too. Interesting, but not exactly what I wanted. In 2013, I was urgently needed back on the OL3 site. So I took a step back and returned to administrative tasks for a few more months. 2014 changed my life. After half a year of PR and content creation at trivago, I acknowledged what I had known since childhood; I was born to write. There was no going back. While I was pursuing my dreams in Germany, I started my bilingual travel blog Live now – dream later that is still going strong today. I started freelancing after moving back to Finland. Besides trivago, my first client was a Finnish travel magazine Matkailu kotimaassa that I'm still working with today. While building my freelancing business, I worked as an in-house journalist for local newspapers Länsi-Suomi and Raumalainen. I still write occasional stories for both. After a full year of freelancing, I established my company Sandria Sisällöntuotanto. Since then, I've worked with top-class media, brands and organisations – and still am. 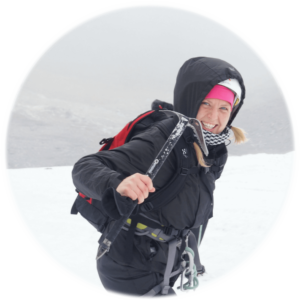 My collaboration with Gofinland started with English blog posts and social media management. 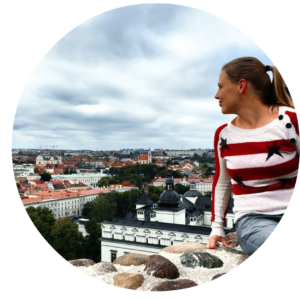 Today, besides blogging, I create optimised but creative web content throughout their Finnish and English platforms as well as informative and helpful branded articles for other media. In 2017, I dove into the intriguing world of B2B. 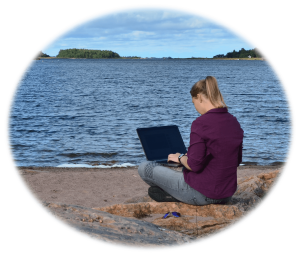 As a content specialist, I create compelling and traffic-driving stories in form of blog posts, ebooks and extensive guides in Finnish and English. Over the years – and after living abroad – I've kept falling in love with my hometown Rauma more and more as the time goes by. As a result, in September 2018 I started my journey to become an official Rauma guide. Perhaps I can be your guide next summer? Don't hesitate to contact me; let's create something awesome together!